Cordura is densely woven nylon canvas with a polyurethane coating, which holds the woven yarn together and makes it waterproof – but with the addition of zippers and seams, we call it water-resistant. 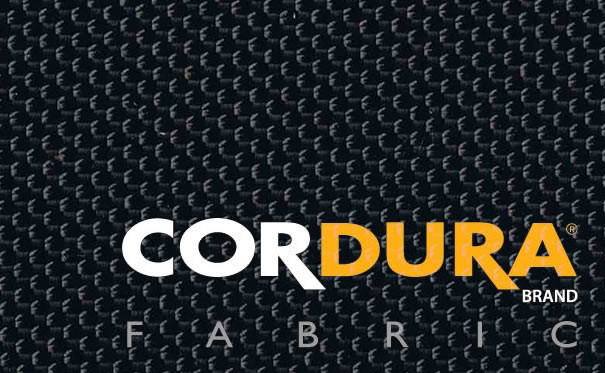 Either way, Cordura is an ideal material for long-lasting endurance and protection. Cordura has great strength, resists heat and friction (think of a radial tire cord) and provides excellent resistance to abrasion. Vanson Cordura jackets (link to Cordura line), like our Sport Rider and PROperf lines, are backed with leather at the shoulder and elbow/forearm impact zones. They will also accept hard or soft armor and a backpad. The one thing that will WRECK a Cordura jacket, however, is a washing machine or a dryer. Guaranteed. If you want to clean a Cordura jacket, hand wash using diluted mild soap, then rinse with a hose and hang to dry. In other words, NEVERput a Vanson Cordura jacket in a washing machine or a dryer. If you do, the polyurethane coating will be damaged and the material will literally fall apart. On the other hand, with proper care, a Vanson Cordura jacket should last you a lifetime…and beyond. Waterproof waxed cotton was first developed by sailors as foul weather gear, then improved by hunters as lightweight outerwear. In the early 1960’s, waxed cotton became quite popular among discerning motorcyclists as excellent rain gear. Today, waxed cotton is still a top choice for riders as a lightweight alternative to their leathers. Waxed cotton is 100% natural. Like leather it will soften with warmth, harden with cold, and over time break in and develop the characteristics of the wearer. One of its best features is that it breathes like leather while also being highly water-resistant. Caring for a waxed cotton jacket can be a little tricky. (So pay attention, there may be a test...). The best way is to hose it off, or hand wash it with cool water only, and let it air dry. It is very important not to use any soap or detergent, to avoid emulsifying and removing the wax. We also recommend warming the jacket with a hair dryer and hand applying Vanson Reproofing Wax (AC-WAX). Never wash a waxed cotton jacket in a washing machine or put it in a dryer. If you do, it will wash all the protective wax out of the material. Vanson will also perform cleaning and reconditioning if you would like it professionally maintained.